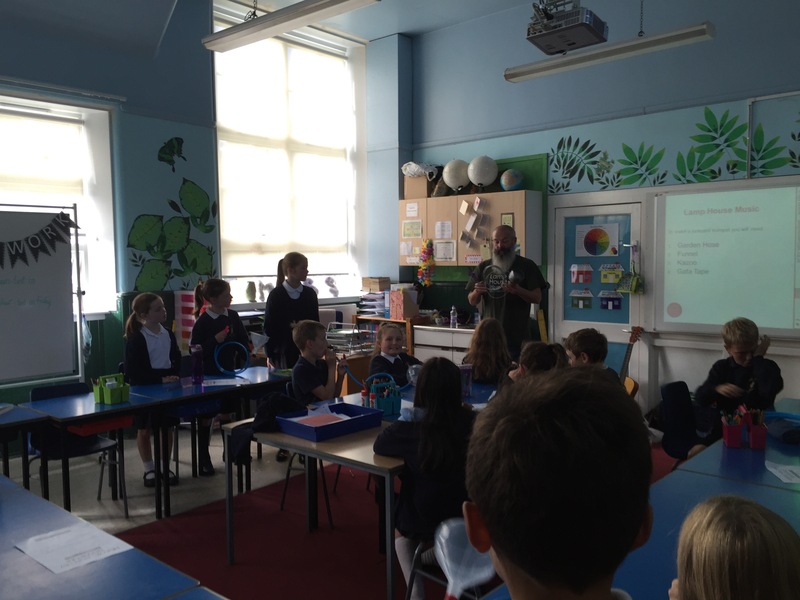 This week Aberlady Angles returned to the classroom, to introduce school children to Anglo Saxon music and poetry. 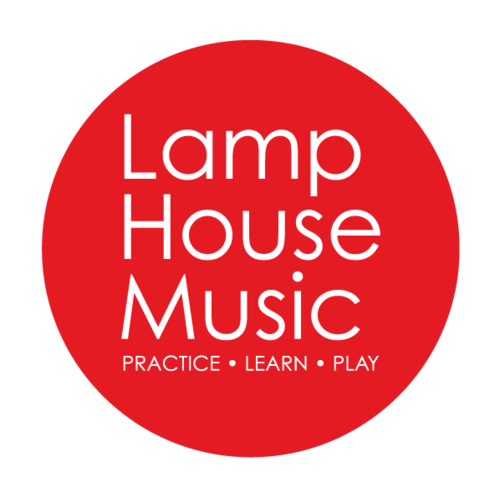 AOC Archaeology have partnered with Haddington based music school Lamp House Music for an exciting opportunity for children to be involved in an October school break music school. 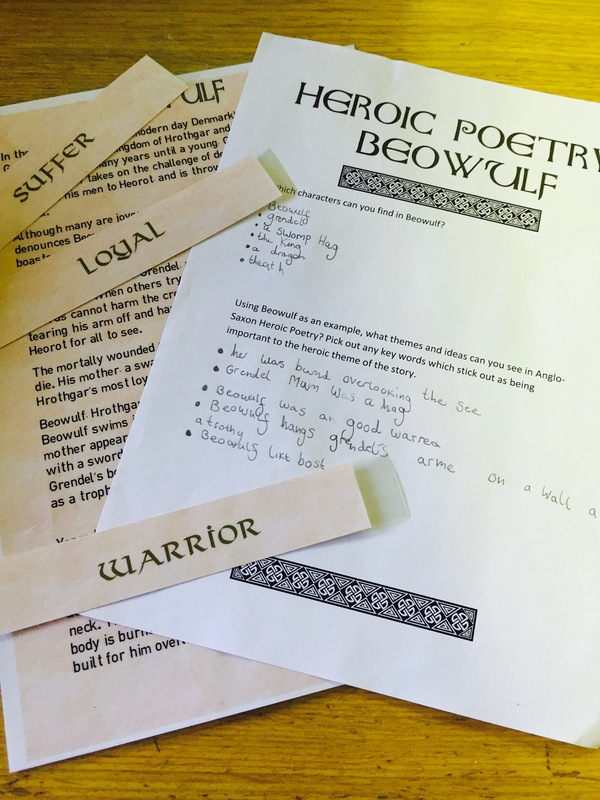 Children will form bands, write songs, design CDs and record their own original songs informed by the themes and ideas of Anglo Saxon poetry. 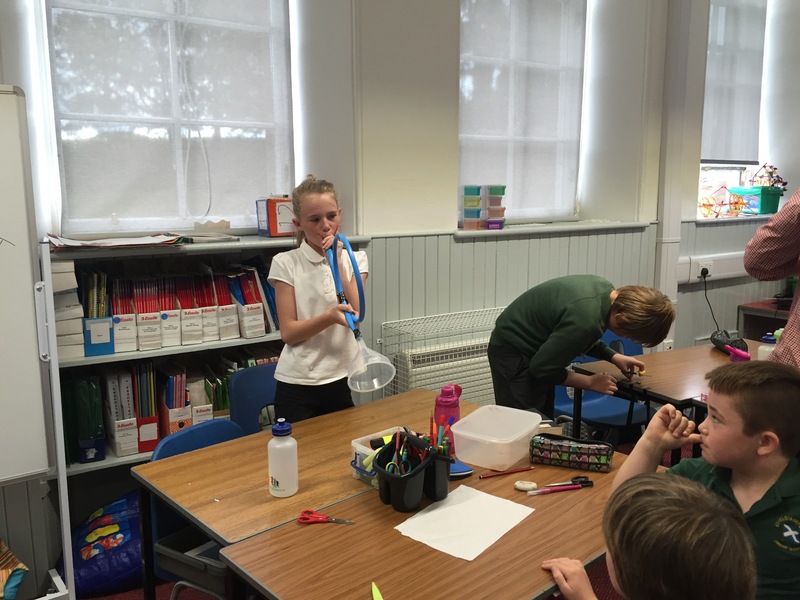 These school workshops were to introduce the ideas of Anglo Saxon poetry and music before this week long music school. We thought about the large structure we may have uncovered at Aberlady, and the activities a space like that could be used for. The classes discussed feasts, entertainment and music, along with the smell of fires, food and noise of people enjoying themselves. Most of the story telling of the period was oral, and bards or scops travelled from place to place, telling stories of war and local history, performing music and teaching in exchange for food and lodging. We are hoping to use these ideas to inform the children’s song writing during their Lamp House workshops. Callum and Martin from Lamp House also got the children to think about all of the musical instruments they knew and it’s safe to say that East Lothian is pretty musical indeed! By the end of the session, all of the children realised they are all able to play an instrument- their voice- and this is something we use every day. Also, with the oldest pupil at Lamp House being 84, it is never too late to learn! 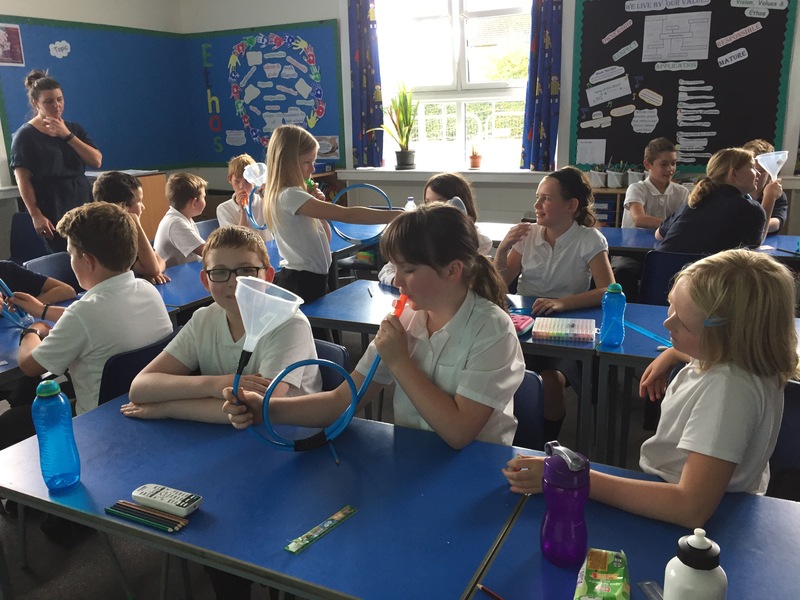 We looked at Anglo Saxon instruments such as flutes, horns and lyres and how the technology is very similar to today’s instruments, before the classes had a chance to make instruments of their own. 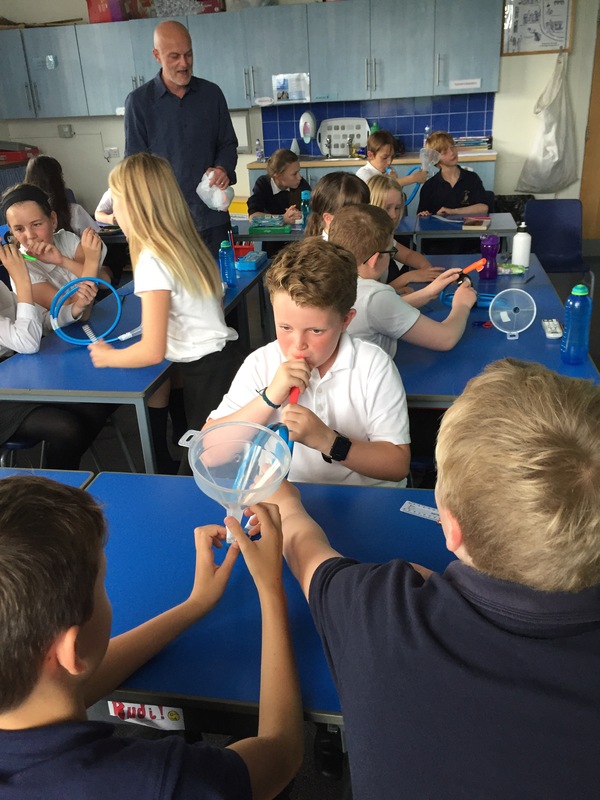 The children, under expert instruction (and even more expert kazoo skills) from Martin and Callum made a ‘junkyard trumpet’ from recycled materials and realised how easy it is to use objects at home to make their own music. 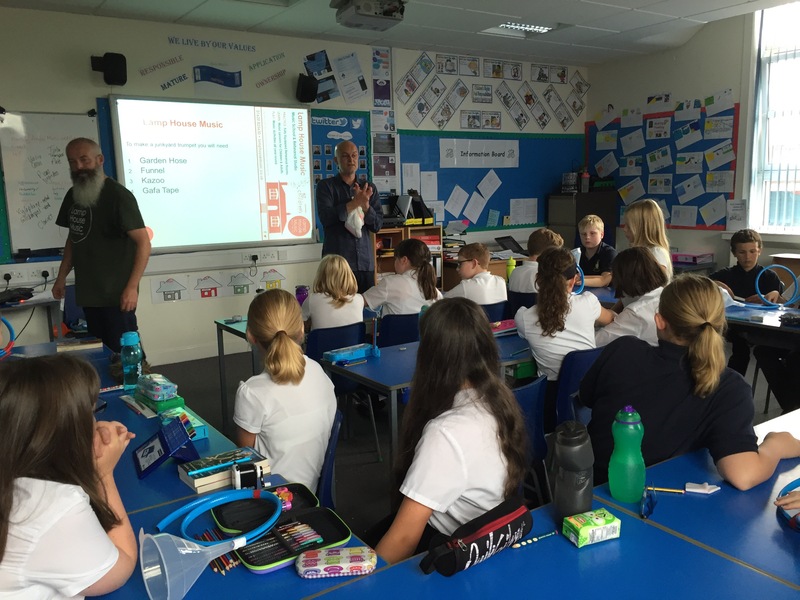 AOC and Lamp House would like to thank all school children and staff involved in these workshops, for their musical creativity and fantastic ideas exploring the themes of Anglo Saxon Epic poetry. Details for the Lamp House Music workshops will be passed to participating schools. As places are limited, there will be a process of application and selection which will be explained in the information given to the schools.